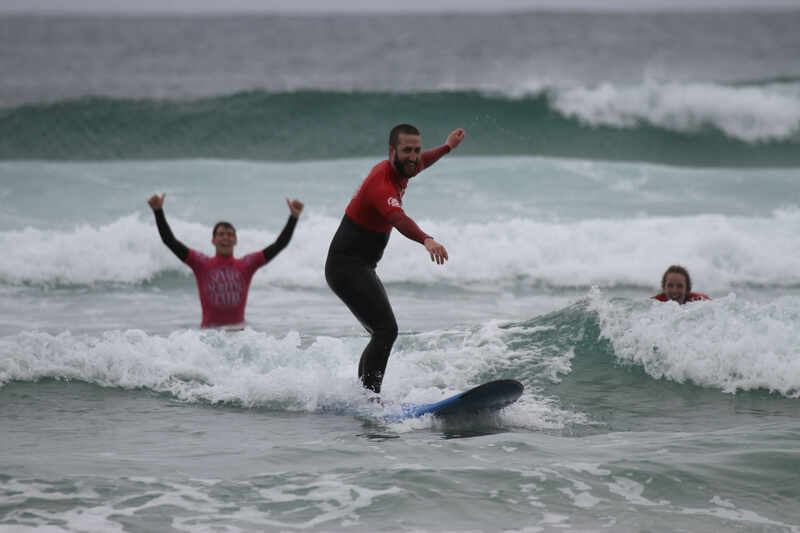 My wife and I went down to Cornwall for our anniversary this last week, and we decided to take surfing lessons. It’s a little embarassing that I’m now 29 and grew up in Southern California1, pretty much in Huntington Beach, and have never surfed in my life. 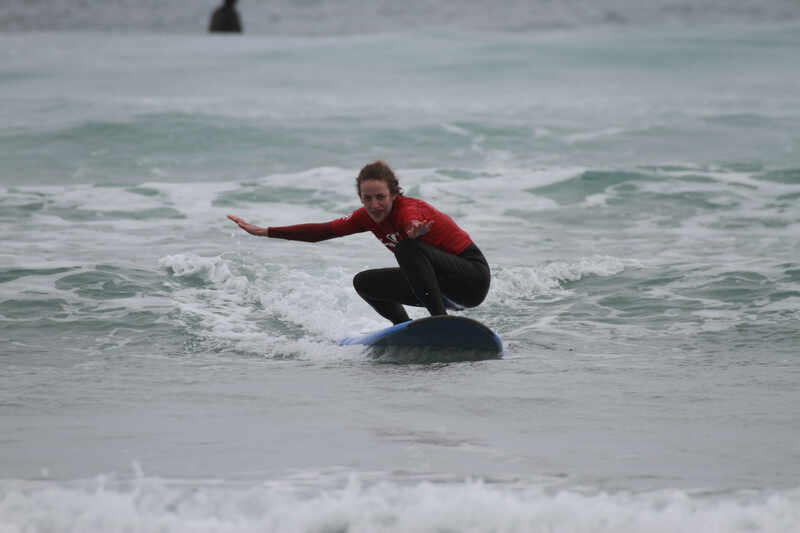 My English wife from Gloucestershire (think countryside) had actually surfed before me. So we decided to learn how to surf on our anniversary2. Just because I love it doesn’t mean I’m good at it. Don’t get too impressed, this was only one out of gods only know how many rides. So yea. I’m going back tomorrow, weather permitting. And I’ll be going back in general every chance I get now I think. So much fun. And it’s always cool to see your wife show off how much of a badass she is. Seriously. How does she look so cool? Went back in today, and started to find the wetsuit a little constricting… so took it off and went back in. 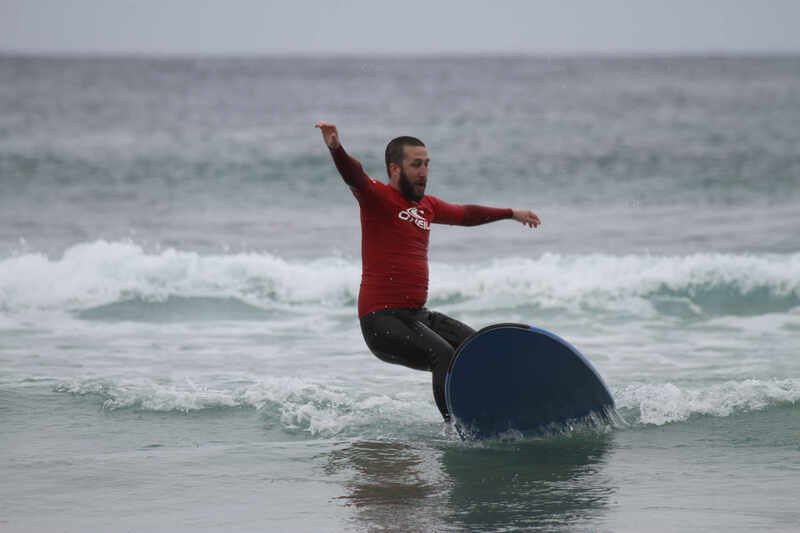 I’m not sure any of the people at the surf school thought I was sane after that, but there was apparently an analysis given to my wife of my behavior: ‘Legend.’ I just think the Atlantic’s not as cold as everyone says it is. Huzzah for being the first nutter to take off his wetsuit and surf in just boardshorts of the season!